Annual Giving – UNITY, Inc. This year UNITY celebrates 40 years of service to Native American youth. 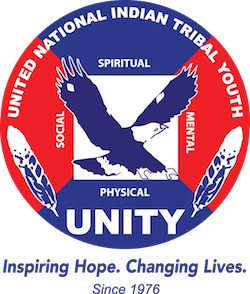 Please consider making a contribution to UNITY and support its ongoing efforts to bring quality, life enriching, and leadership development programs to the ever growing network of involved Native youth. To donate, click on the graphic link to the left, complete the form on the page that opens, and Send Your Gift. To learn more, read the attached infographic (pdf version) that summarizes UNITY’s activities and accomplishments during a very busy and productive 2015. To learn even more, use the Contact Us form to send your specific questions to the UNITY staff.